Does your business need to manage the flow of customer foot traffic? 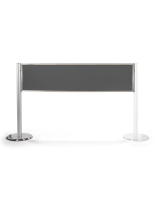 Rigid panel crowd management systems combine the flexibility of traditional stanchions with the authority of fixed queue barriers. Each lightweight modular divider is portable and adapts to varying floor and booth arrangements as needed. Our customizable rigid panel crowd management systems feature a variety signage options such as framed graphics, clear acrylic partitions, and slide-in sign toppers. 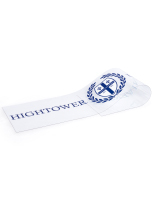 Full color branded logos and messaging are ideal for creating high-visibility advertising and promotional displays while directing customer flow. 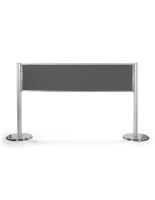 Rigid panel crowd management systems incorporate traditional stanchion post designs with fixed structural barriers for increased control of foot traffic. 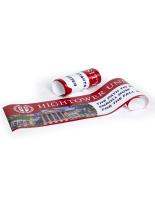 Heavy duty durable aluminum construction offers stability while fade resistant UV-printed graphics are designed to withstand the rigors of commercial environments. Modular linkable partitions can be ordered in any configuration to accommodate changing floor plans. 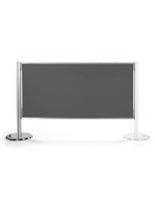 Our custom printed fixed structural barriers offer an idea way for businesses to regulate in-store foot traffic, direct service line queueing, or offer directional guidance to convention or event attendees. What differentiates these post and panel sign displays? Rigid panel crowd management systems use premium construction materials which are able to withstand the toughest wear and tear. By using heavy-duty metal stanchion frames and acrylic signs, these structural partition post resist damage and offer increased stability. Post and partition dividers integrate traditional advertisement graphics into traditional queues in highly trafficked areas. Showcasing marketing presentations in line give customers a visual reminder about limited-time sales, events, or cross-promotions. Modular panel crowd management systems is broken down and rebuilt in minutes between events. Each unit features connectivity into larger structural walls that can be adapted to a variety of arrangements. 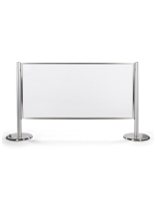 Stanchions with post barriers urge customers to take caution and remain orderly in during rush seasons at retail stores, or overpacked conventions. A panel crowd management system projects a sense of order to your patrons to give them a sense of direction while marketing a brand or product in plain sight. Branded modular partitions are used in airports, stadiums, banks, and shopping malls to guide customer flow and promote products and services. When not in use, each portable barrier is easy to store, move, and reconfigure to the needs of your next event. Crowd management systems with partitions are available in half vision (15”) or full vision (30”) depending on your stylistic needs. Mix-and-match these options to diversify queue configurations for checkout lines or events. How do I know what to order to properly outfit my store? It is important to determine what your current floor plan can support, and the overall design you would like to implement. 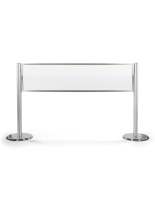 Most commonly, our customers will create either a standard straight line or winding crowd management system with these stanchion post. Which units you should order are entirely up to your specific needs and the creativity of your presentation. Our crowd management systems include stanchion post, sign frames, as well as 15” and 30” clear acrylic partition panels with custom options. This means that merchandisers can be creative with both the layout and marketing displays when using any of these units. 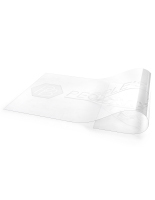 Crowd management systems come with clear acrylic dividers as the standard option. 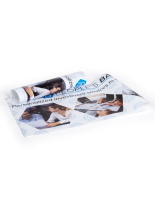 but we offer custom printed partitions as well. Since each modular unit is easily swapped out, great marketers have many personalized graphic displays ready to take on any advertising or seasonal challenge. Controlling the ever-present customer flow of a large-scale event or holiday retail rush is a constant chore, but it doesn’t have to be! By implementing a professional queue management system, you can focus on making more sales and engaging with customers. 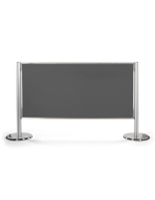 Not every event can be contained indoors, so browse our catalog of café-style barriers to bring the show outside! 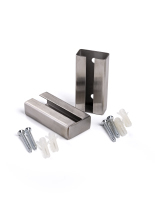 Whether you choose traditional clear acrylic or custom printed displays, these fixtures are easy to order and ready to direct your customers!